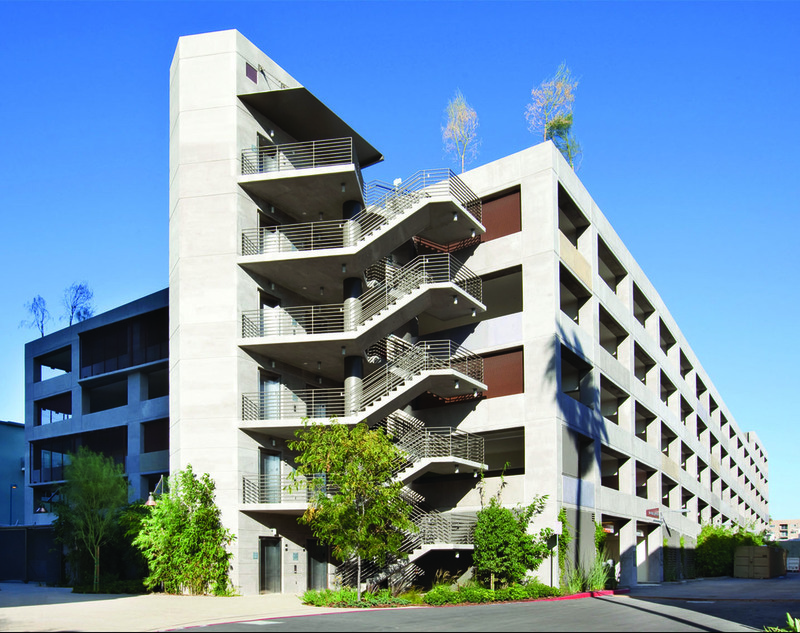 Noho III Parking Structure | Cary Kopczynski & Company, Inc. 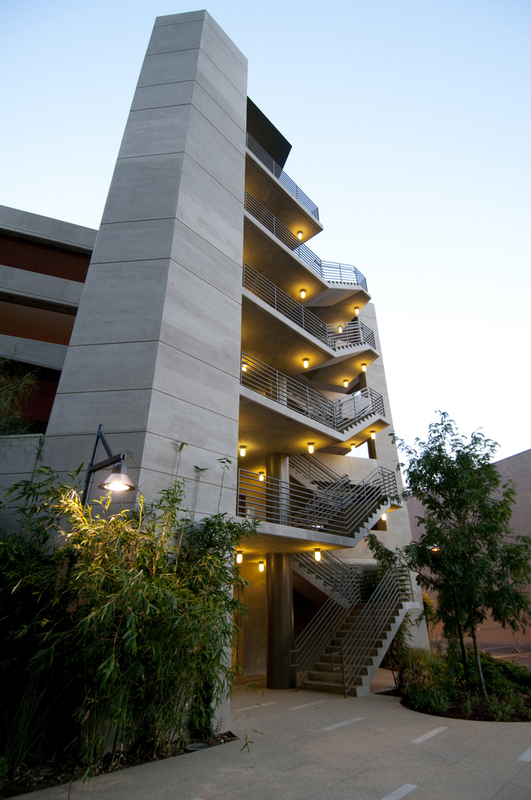 Located in the North Hollywood Arts District, NoHo III Parking Structure features 730 stalls of open and efficient parking on six levels. It serves the NoHo III Office Building, for which CKC also provided structural design, as well as other retail and entertainment venues, including the adjacent cinema. A cast-in-place, post-tensioned long-span concrete framing system provides column free parking, with exterior ductile frames used for seismic resistance in both principal directions to maximize sight lines and improve passive security. Structural durability was enhanced through use of custom designed concrete mixes to reduce slab shrinkage during construction. An internal ramping system using sloped parking bays provides an intuitive circulation loop through the garage. Construction was completed on time and on budget.